1) Where Do I Vote? A printing mishap has left many East Ramapo voters puzzled and irritated about where to go vote on Tuesday May 15. The district is blaming the printer, who they say was the “lowest responsible bidder”, but a quick web search reveals no functional website, only a Facebook page with just five posts since the company president died in 2016. Did anyone from the district review the level of service? Is sending out correct information to voters a priority? Will anyone be held accountable? Voters can look up their polling place on the district website. The district also says it will send new postcards. The Spring Valley Branch of the NAACP says that the system of voting in East Ramapo is discriminatory. It has joined parents in a lawsuit to force the district to stop using the “at-large” system. 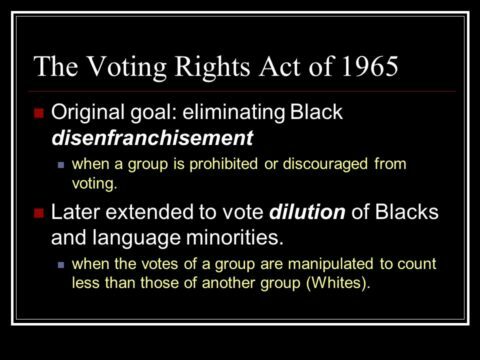 At-large voting has historically been one of the tactics most often used to disenfranchise voters of color. Because the East Ramapo school board refused to voluntarily adopt a system that doesn’t discriminate against voters of color, the NYCLU filed a lawsuit. The board has hired its usual very expensive lawyers to fight to maintain the racially biased status quo. They filed a “motion to dismiss”. According to the Journal News, the federal judge in White Plains has denied the school board’s motion, and the lawsuit will proceed. Of course, the board could avoid losing another costly lawsuit by simply following the law and not discriminating against voters of color. You can help get out the word about our wonderful school board candidates. They are: Sabrina Charles-Pierre, Pastor Jose Cintron, and Miriam Moster. Last week, 500 Power of Ten readers signed a petition to Governor Cuomo asking him to reject Senator Felder’s proposal to exempt Hasidic Jewish children from NY State compulsory education law. What happened? The Forward reports: Cuomo Called The Rebbe. The Rebbe Prayed To God. The Budget Deal Got Done. Shulem Deen asks in the NY Times: Why Is New York Condoning Illiteracy?